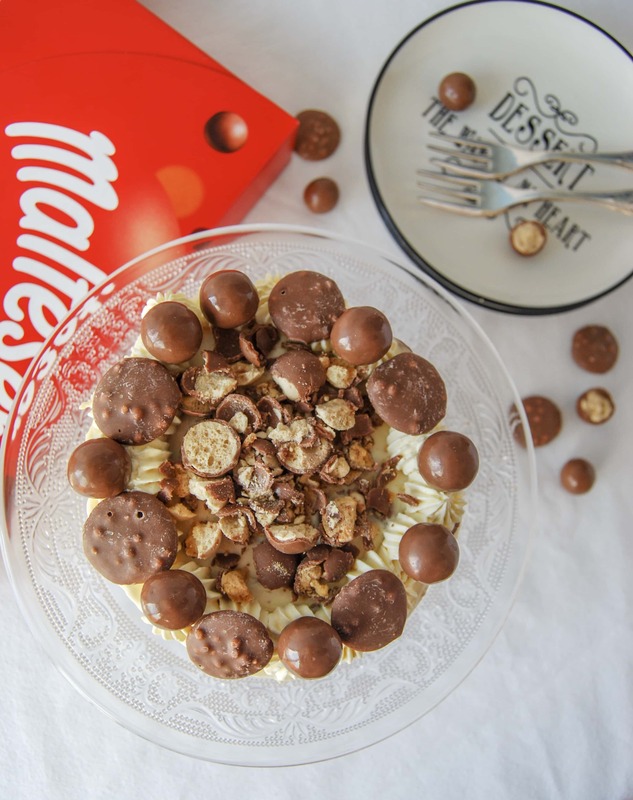 This easy, no bake Malteser cheesecake for two is the ideal dessert for sharing! Crunchy Malteser heaven! Let’s be honest. There are times when we just want cheesecake now but we really don’t want or need to make a large one. This recipe is for those times! I made this mini Malteser cheesecake in a 5 inch round springform tin. It turned out to be the perfect amount for two very generous portions! The only downside to this was there was no leftovers to be tempted by – although maybe that wasn’t such a bad thing after all! For the best flavour and texture, full fat cream cheese is essential. low fat substitutes will not produce the same results – if you use anything other than full fat, I can’t guarantee your cheesecake will set correctly. No-one wants that! How long does the cheesecake keep for? The cheesecake will keep for up to 2 days in the fridge, but I doubt you’ll have to worry about that! You can adapt this cheesecake to suit your sweet tooth and include your favourite chocolate – Crunchies, Snickers, Mars or Daim bars would all work really well here, to name just a few! This post was originally published 9th June 2014. Re-published with new photographs and additional text 3rd April 2019. Love Maltesers? Try these double chocolate Malteser cookies! Interested in some more no bake recipes? Pin this Malteser cheesecake for later…..
Mini Malteser cheesecake - the perfect make ahead dessert for sharing! Place the biscuits and the malteser bar in a food bag and bash to crumbs. Pour in the chocolatey biscuit crumbs and stir until you have a damp mixture. Press the buttery crumbs into your tin and press down. Whip the double cream until it holds softs peaks. Add the icing sugar, cream cheese and vanilla extract and mix well. Cut the maltesers in half and fold in. Pour into your tin and place in the fridge again. Leave to set for a couple of hours. This looks wonderful! I had a double-decker cheesecake before and it was amazing. I would love to try this malteser one too! Oh how indulgent and utterly delicious. Oh wow double decker cheesecake sounds SO good! Mmm that looks great, I must try this! Oh my gosh. Beautiful! It’s a good job it only makes a little un! OMG this looks utterly delicious! i need to try this!